Ladies and gents, here is another story that I bet you wouldn’t even believe: I was NOT born a traveller! Before you say something indignantly, can I raise my hand and say that I know this is at odds with my blog?… Please, have little mercy and allow me to explain myself. When I was a little girl, I didn’t like travelling at all. I do have a funny story that I use to tell people – I think I was 8-9 years old and I went on a summer camp with children from my school, my father as the teacher assigned to look after them and one of my cousins. I hated that camp so much and I felt so miserable being far from home, that I cried without stopping for 3 days, then my father left the children with another teacher and brought me home. 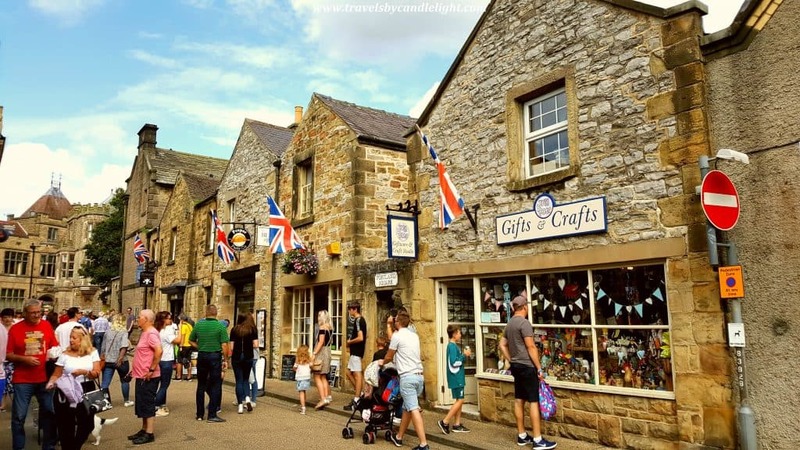 During the long weekend in August, this year, I did my first trip with overnight staying in the UK, exploring the “heart of England”, how it is known the Peak District, which has been on my to-see list for a loooong, looong time and is not the kind of place to be seen in a day, so I decided for 3 even I could easily do 1 week there without getting bored. And let me tell you something: I. Simply. Loved. It! Fortune must have been smiling upon me as I had the most amazing the weather I could get and I’ve managed to squeeze 5 places (not counting the ones seen through the bus window) in 2 days and a half time – not bad at all I would say. If you have your own car, it is much easier to commute between different places and decide on the timings, but if you have to rely on the public transport, like I did, you will be a bit limited as the transport links are not that good, especially during the weekend and between small villages. But, nothing is impossible – or, how I Iike to put it, if there is a will, you will find a way! 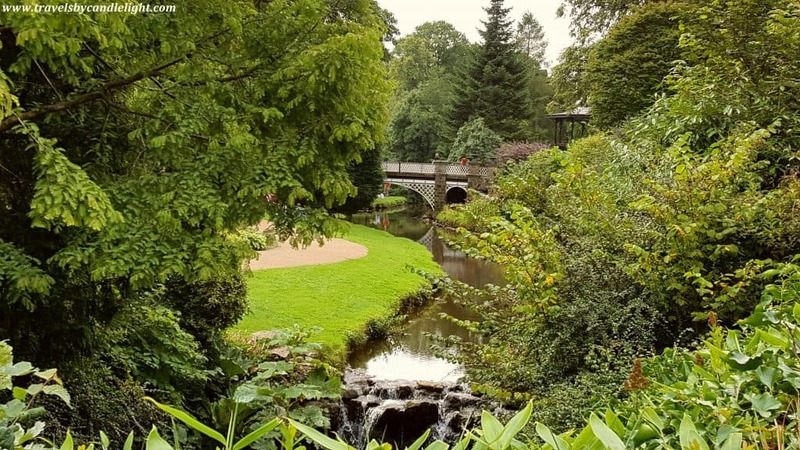 Day no.1 – I arrived in Derby around 10 am and rushed to drop my baggage at the place rented through Airbnb which was literally 3 min walking from the train station, then I headed out to the bus station and as I had only half a day left, I decided to go to Buxton, straight in the middle of the Peak District. As a parenthesis, there are 2 main bus companies that travel from Derby into the Peak District: TransPeak, which will take you up to Manchester, cutting the Peak District on a quite straight route, with buses leaving every hour and the Sixes, which are only going to Bakewell as the farthest point, but reaching more small villages on the way. Buxton, also known as the ‘gateway to the Peak District’, was very disappointing to me. Quite dull, no spark, not too many historical places (although it is said there was a settlement on its site since the Romans time) or breath-taking views. The only pro I can say about the place is its location which makes it a good base for a Peak District visit, allowing you to travel in any direction easily. and the Poole Caves, which I decided I could miss as I am a bit claustrophobic, and go back to explore Derby a bit for the evening). 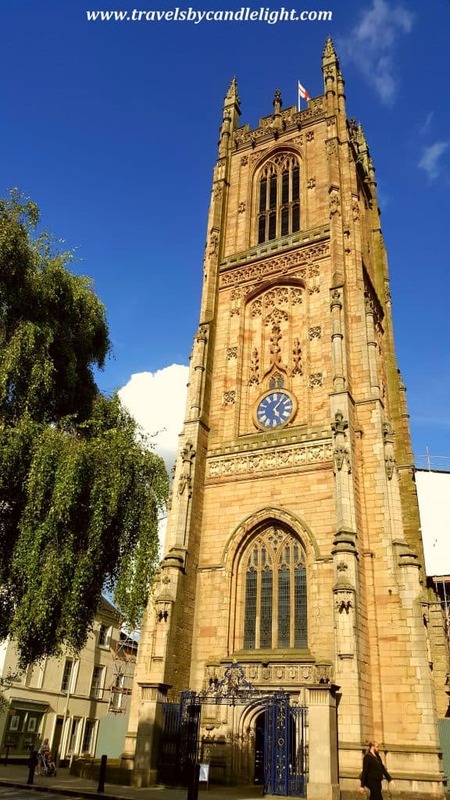 I spent the evening in Derby, wandering around the small city center, peering through the shop windows in the cobbled Cathedral Quarter (of course they close early in the evenings) and visiting The Cathedral. Again, nothing outstanding, but slightly nicer than the Buxton experience. I went to sleep early as it was the second day getting up at 5 AM in the morning and I had big plans for the second day. Day no.2 I was up and running around 7 AM to catch the bus at 8, planning a first stop to explore Bakewell a bit, then head out to some more villages inside Peak District. Let me ask you something: Did you know that love at first sight does exist? 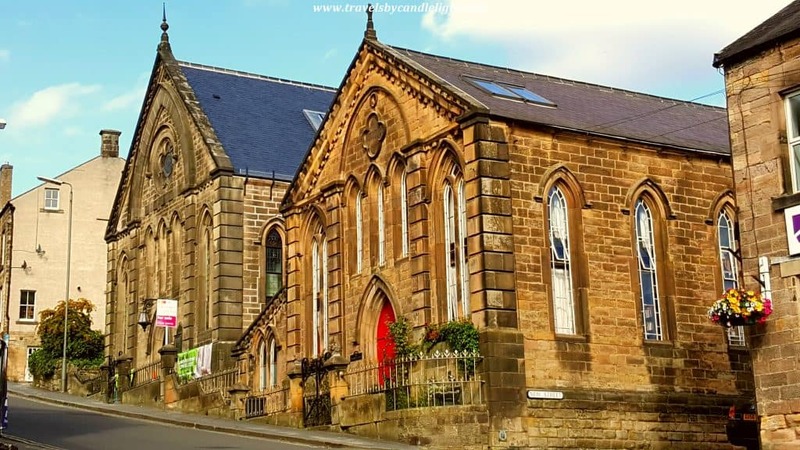 !… No?… I was skeptical as well, but it happened to me when I saw Bakewell, a perfect little town with charming cottages and hilly streets, quirky independent shops, cafes and restaurants, plus a fantastic river walk on both sides of the old town bridge. 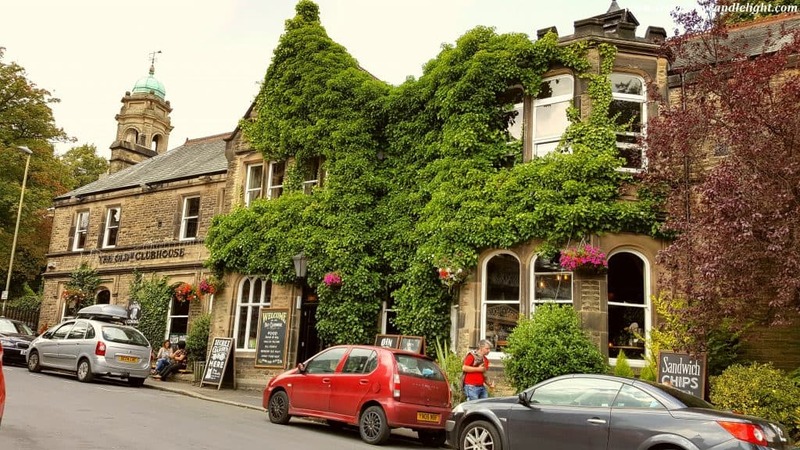 The cherry on top, as you can guess by its name, this place is the one where the famous Bakewell pudding was invented – oh, well, could a foodie like me possibly ask for more?! Rhetorical question, obviously. 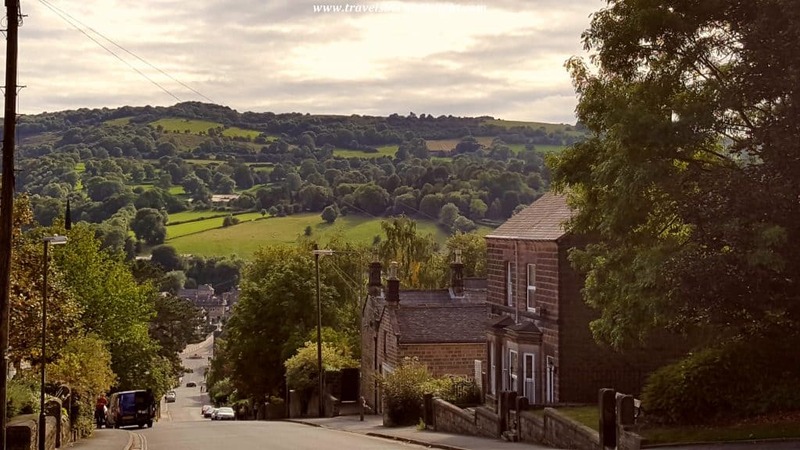 I enjoyed this place that much, that I lost the sense of the time and I ended up changing my plans – as there was no time to go to other villages, I took the bus back to Derby, but I stopped in Matlock for a couple of hours. Matlock is the county town of Derbyshire, a former spa town situated on the River Derwent and overlooked by the dramatic ruins of Riber Castle in the distance (which I read it was now purchased by some local developers who have ambitious plans for a dramatic rescue operation involving the conversion of the castle and its outbuildings into apartments to be lived by people!). 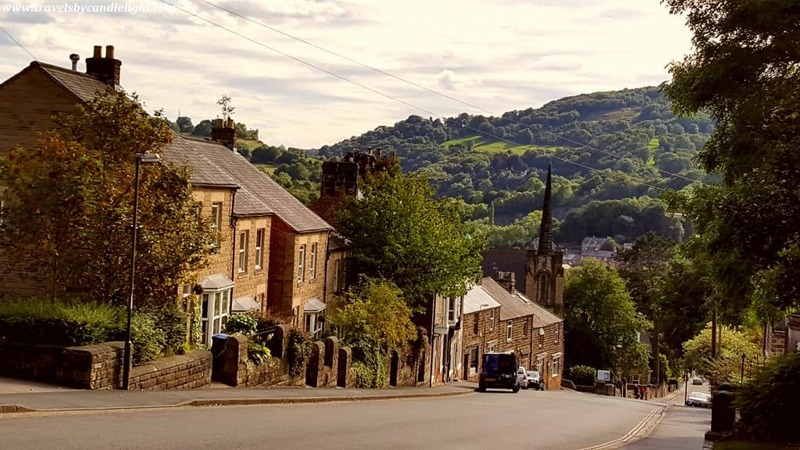 In the past, Matlock used to be just a collection of small villages centered around the church until thermal springs were discovered in 1698. 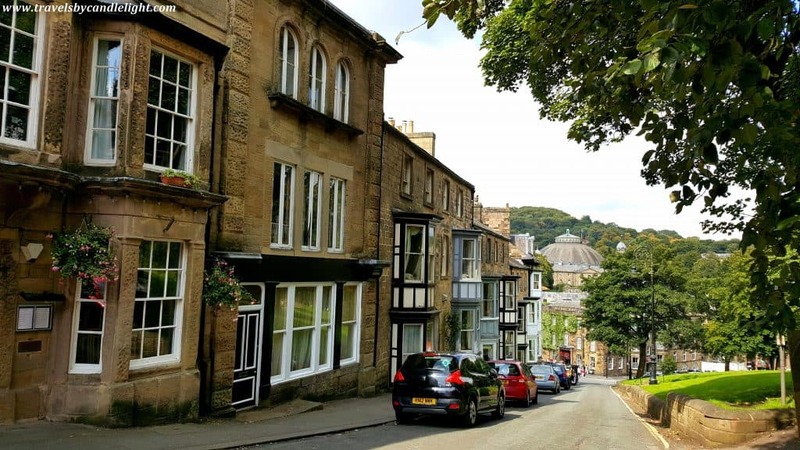 Just downriver of the main town lies Matlock Bath, the prettiest part of the it, with a very seaside-holiday-resort look and feel. From here, you can take the cable car up to the Heights of Abraham, which offers you a very nice view on the surrounding area. However, the cable car was closed for the day when I got there in the evening, but I decided not to come back just for this, as I’ve seen quite a few fantastic views on my way to Buxton and rather go to Monsal Head. 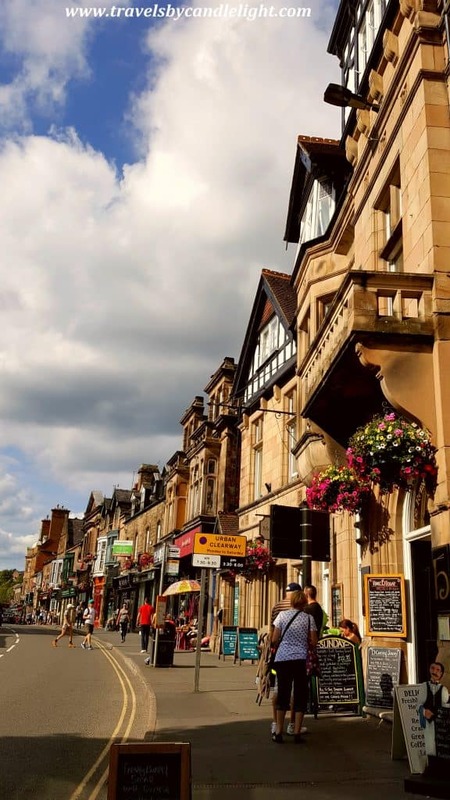 Although Matlock is listed on the touristic sites as another popular place to visit, for me it wasn’t out of the ordinary, but it deserves to give it a go – there are some good independent coffee shops and some great antique shops on Dale Road, if you are into this. I had a walk up the hill on Bank Road and the view is quite nice with the town at your feet. Day no.3 I went back to Bakewell as I felt there is more to explore here – and I was so inspired doing this as I did discover new places, did even more shopping and got to Monsal Head which was by far my special place in the Peak District for this trip. I am going to write a separate post about those 2 places as I have too much to say and I will flood you with eye catching pictures! Stay tuned, the best of the Peak District is yet to come – next post will be about Bakewell and Monsal Head.